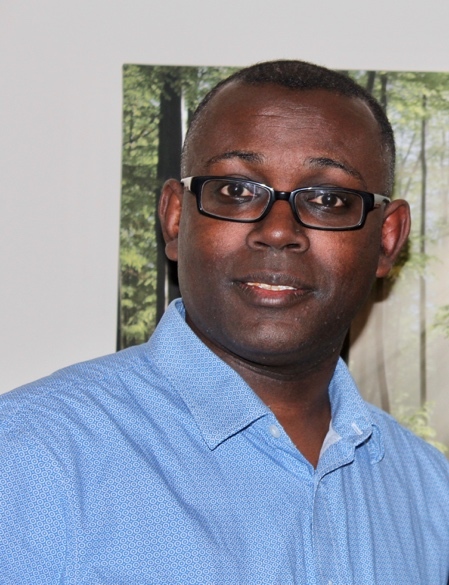 Estifanos T. Zewde holds a PhD in Religion and Politics from University of St Andrews, Scotland. His doctoral dissertation was on developing a contextual theology of public conversation, using the paradigm of African palaver in critical interaction with Jürgen Habermas’ theory of communicative action and Johannes Baptist Metz’s political theology. Before his doctoral studies, he had studied systematic theology at the Ethiopian Graduate School of Theology (EGST), for which he earned a Master of Theology (MTh) degree. He had taught courses in systematic theology, contextual theology, ethics and research methodology in the Department of Theology of Mekane Yesus Seminary for eight years. Dr Zewde’s teaching experience also includes Postgraduate Diploma as well as MA courses at the Ethiopian Graduate School of Theology. He was also a member of editorial board for the Journal of Postcolonial Theory and Theology for two years, 2010-2012. His general research interests include religion and politics, public theology, communicative action, Jürgen Habermas, anamnestic solidarity, memory, community and narrative. Currently, his particular research interest focuses on the place and function of postmetaphysical thinking within the interface between religion and politics, in general, and theology and politics, in particular, in a context that is affected by a post-secular ethos. Ph.D. in Theology and Politics from University of St Andrews (2017). M.Th. from the Ethiopian Graduate School of Theology. Post-Graduate Diploma in Theology from the Ethiopian Graduate School of Theology. The focus of his post-doctoral research is economic scarcity as it relates to questions of survival and flourishing. Taking a cue from the philosopher Jean-Paul Sartre’s theorisation of scarcity in his work Critique of Dialectical Reason, Vol.1, Theory of Practical Ensembles, Theodros’s research seeks to inquire into what it means to speak of a milieu of scarcity while considering the scope available to express this within contemporary philosophical-ethical discourse. ‘Gudina Tumsa’s Approach to Human Rights: A Dialogue between Anthropology and Christology’. Journal of Gudina Tumsa Theological Forum, volume 3 (2013):227-250.